There are nearly as many self-described Jedi Knights as there are Muslims in the picturesque seaside area of Torbay, according to figures from the last UK national census. The numbers of Jedi, however, have fallen since the last count, where the guardians of the Galactic Republic actually outnumbered Muslims by nearly 300. In the 2011 census, the number of Jedi registered in Torbay fell from 800 to 500, only 21 behind the Muslims, of which there are 521. Local newspapers speculate that the dramatic fall in Jedi numbers may be due to a poor reception to the latest Star Wars film. Torbay, however, is not the only UK town to register a significant population of Jedi. The Census data revealed there are over 180,000 wielders of the force across the country, as well as 60,000 Pagans. 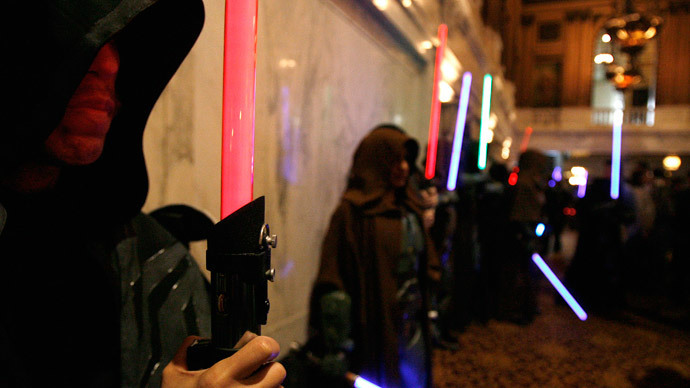 In Brighton, an extraordinary 1 percent of the population describe themselves as Jedi knights. The force is with Leeds, too, which has a high proportion of Jedi warriors, with 2,812 knights in the district, the census said. Other minority religions were also shown to hold a presence across the country, with Bolsover in Derbyshire claiming to have 17 Satanists resident in the parish. Back in Torbay, however, 63 percent of area’s 130,000 residents describe themselves as Christian, and atheism comes in second, with 35,535 affiliating to no religion. Six people from the area said they had their “own belief system,” while four claimed to be witches. There have been no recent reports of inappropriate use of the force, so it’s safe to assume Padawan training is going well.